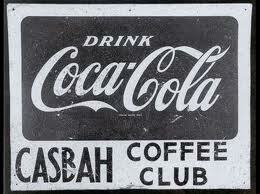 The Casbah Coffee Club, launchpad of The Beatles, the greatest pop phenomenon of the twentieth century. For the first time in 40 years, you can visit the unique basement club as it was in the beginning. The Casbah and its owner, Mona Best, brought about many pivotal moments in the early days of The Beatles, shaping their beginnings and providing a home for the distinctive Merseybeat sound which would change the face of popular music forever. The Casbah knew the savage young Beatles before Epstein: their first live performances were here, in the club they made their own, even being involved in decorating the basement in its distinctive style. “I think it’s a good idea to let people know about the Casbah. They know about the Cavern, they know about some of those things, but the Casbah was the place where all that started. We helped paint it and stuff. We looked upon it as our personal club.” Sir Paul McCartney.